According to Developer Economics report, “50% of iOS developers and 64% of Android developers are operating below the ‘App Poverty Line’ of $500 per app per month. So, if you are sailing on the same boat, ASO can be a Saviour for you. 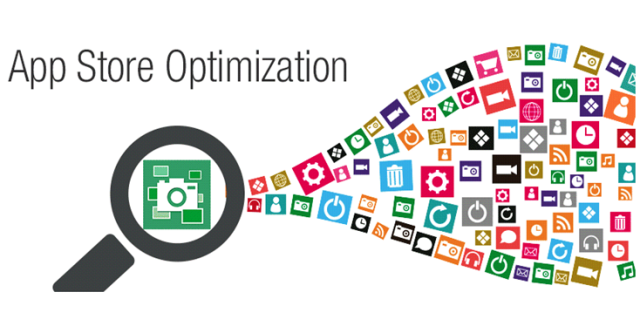 App Store Optimization is the process of optimizing mobile apps to rank higher in an app store’s search results. Also, “63% of apps are disclosed through app store searches” According to Forrester. Keep in mind that the higher your app ranks, the more visible it is to app users, resulting in downloads. The small picture that represents your app in the store is the first big chance for you to grab user’s eyeballs. This is because human beings are a visual beast, so what you pick out to represent your app matters a lot. To know what users like the most, you should take a look at some of the most best-selling applications in an App Store or Google Play search as well as take note of how they map themselves. After your icon, another important thing your potential customers will see is the title of your app. So, it is very vital to make best use of the 255 character limit for the App Name field. Also, the app name must be in line with your app’s offering. Always choose those names that are easy to spell and pronounce. The name of the app (displayed in the App Store) can be a maximum of 255 characters and the name that will appear under your app icon (Bundle Display Name) on the phone can be a maximum of around 12 characters. Bear in mind that out of those 255 characters, only 25 characters appear in the search results. So, the most descriptive words must make the start of an app’s name. Besides, check the availability of the related domain name with social media accounts for your app in order to make branding consistent. Name Checklist or Knowem are very popular tools to check the availability of your future app name across all the favorite social media networks including Facebook and Twitter. Remember, one very crucial feature of discover-ability for the app is the category it appears in on the App Store. Also, categories allow apps users to browse through a wide collection of mobile apps. Ensure that you choose a category carefully that best fits the primary function of your application. iTunes Connect enables you to assign your app to two different categories, primary and secondary. 1) The primary category must be the more accurate description of the app, whereas 2) the secondary category increases the chance of your app discoverability. If you have the indulgence of choosing between lots of different categories for your primary and secondary categories, then go to the category which has less competition as it will increase your chances of coming up higher in searches. 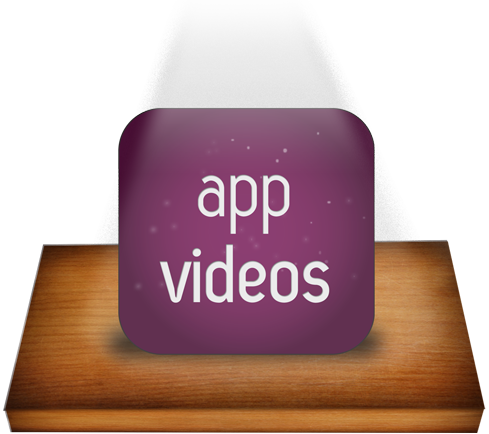 Making a video is a must for your app, and I would advise you to hire a professional company for this. If you are going to invest some amount in a video, then make sure it has subtitles for the local language. Translated you video into the common languages if you have the money, and it will do magic to your app download rate. Remember, getting a positive review or a high rating can be a blessing to your app downloads. Also, reviews by users deserve a proactive strategy. Discover whose critical review holds weight and seek for those publications or analysts. Incorporating social elements into an app is a really great way of increasing the chances that your app will go viral. Try to engage social media users and their friends, but ensure that there is a system within the app itself to get a person to engage their friends like through incentives. Suppose that your app is released and someone downloads it and then the user feels as if he / she needs an instruction manual to move ahead with the app, and it can be the greatest failure of your app. So, don’t make our potential users think what to do next and the application must be intuitive. Buttons, text input or other user interface components should be visible clearly when needed and disappear when not in use. Apart from this overriding default moves can lead to similar issues and these problems can make users feel stuck in a part of the application and forcing them to quit it. These 7 points helped many app businesses to millions of downloads on their entire portfolio in a year. For this, make sure you have a great app development and marketing team. Some of the tips are really hard to implement, so you need to have dedicated, experienced and talented people around you. This is it from our side. feel free to provide new ideas, suggestions and comment. Any new ideas or suggestion for improvement will be appreciated from the bottom of heart.